James Wood looked quite ordinary. A master at appearing normal, he wouldn’t be noticed in a crowd. In the fall of 1992, when the friendly community of Pocatello, Idaho opened it arms to Wood, little did residents realize the soft-spoken stranger in town was a serial killer. The truth came to light only after the abduction and murder of Jeralee Underwood, the eleven-year-old daughter of a devout Morman family. The entire region was shocked and outraged. 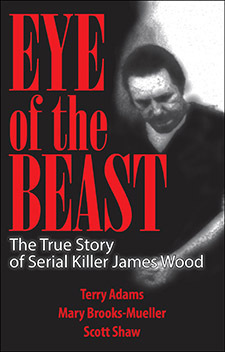 Now, in Eye of the Beast, author Terry Adams teams with lead investigator Scott Shaw and forensic psychologist Mary Brooks-Mueller to take us behind the headlines, into the heart of the Idaho investigation. Why had Wood gotten away with other murders for two decade? What made him so unlike other sexual psychopaths?